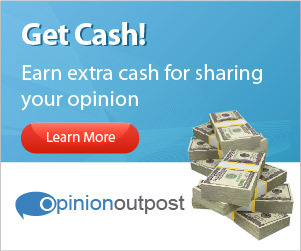 Opinion Outpost is the premier paid online survey community that allows consumers to take surveys online for Money, points, and rewards. Rewards include get cash, Amazon gift cards, game points, donations to your favorite charities, and more. Everyone is also automatically entered to a $10,000 sweepstakes by taking surveys. The minimum cash out for Paypal is $10 and only $5 for Amazon gift cards.